The eerie silhouette of the Farallon Islands keeps a closely guarded secret; within the rugged rocks lies the ultimate adrenaline junkie adventure - diving with Great White Sharks. 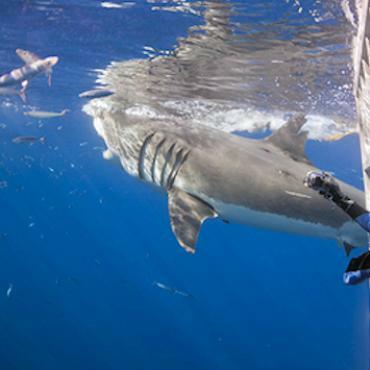 Only 26 miles off the coast of San Francisco, marine enthusiasts can join shark diving expeditions for the opportunity to see amazing natural predatory behaviour in action. In the fall season, normally September to November, thousands of marine mammals gather on this rocky promontory to breed and calve their young. 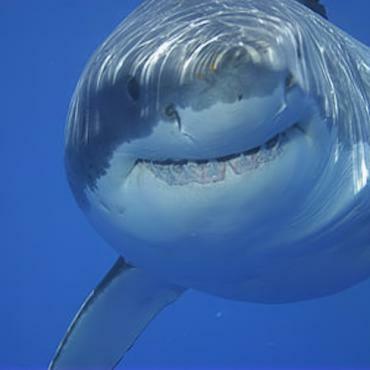 This attracts the largest White Sharks in the world to South East Farallon Island (SEFI), where they feed on Elephant Seals before their long trans-Pacific migration. 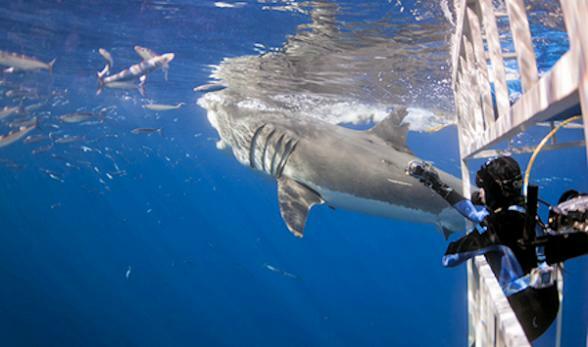 The tour companies that operate in this area have experienced many dramatic encounters with White Sharks at SEFI. Breach attacks occur right in front of the cage and they've witnessed enumerable natural "Feeding Events". Witnessing a very large White Shark attack and consume a 200 to 300 lb Elephant Seal is an extremely dramatic event. On your Shark Cage Diving experience all diving will be surface supplied or "Hookah" only and typical water temperatures are 52-56 degrees. The shark cage accommodates 4 divers at a time and rotations last 30 minutes and alternate throughout the day. This isn't a trip for the faint hearted as the predatory acts you'll witness are both bloody and violent. 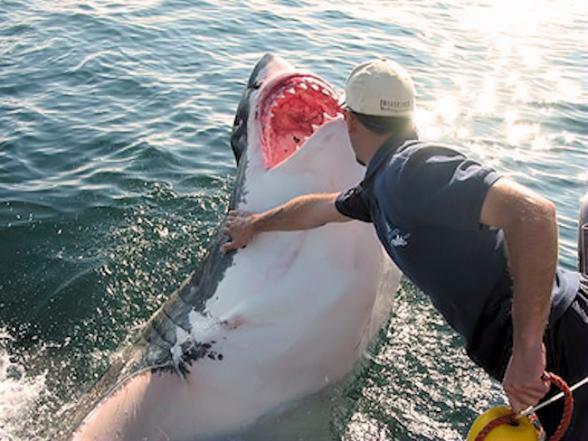 Don't fancy getting to up close and personal with Jaws? 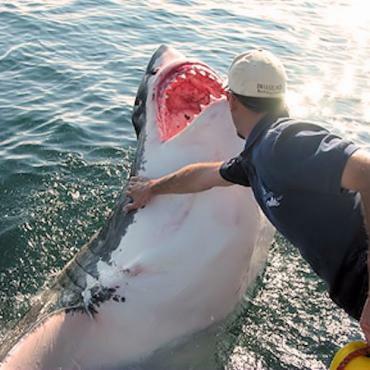 Well, Great White Adventures also runs trips for 'Topside Observers', where you can view the action from the boat deck! These incredible trips are an amazing experience for fans of the ocean, and offer a safe way to witness some of nature’s most dramatic feeding events. Subject to availability. 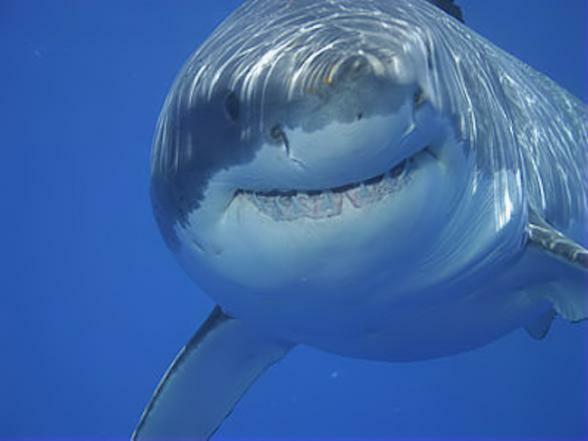 Please note these Shark Cage Diving trips are very popular and early booking is essential. Trips run September - November annually. Departs 6am from Emeryville, San Francisco - expect to be at sea for 12 hours. Group size is normally no more than 17 people. Call Bon Voyage to arrange this exciting experience as part of your California fly-drive holiday.